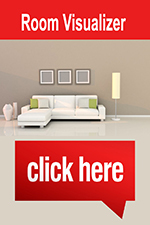 Porcelain tile flooring is one of the most durable flooring options. Call Bay Tile Kitchen & Bath in Clearwater, FL and learn more about installing porcelain flooring in your home or business. If you're looking for a high-quality and long-lasting flooring option, porcelain tile flooring may be just what you need. Available in a variety of patterns, colors, and styles, porcelain floors can withstand heavy foot traffic and maintain their beauty for decades. Bay Tile Kitchen & Bath is the Clearwater, FL premier source for flooring, including high-quality porcelain tile. Stop by our store in Clearwater, FL to see our large variety of porcelain flooring samples, and enjoy a free consultation with one of our flooring experts. We're looking forward to serving you! Indoor and outdoor use. Porcelain tile is harder and denser than other tile flooring options, which makes it frost-resistant and sometimes even frost-proof. Durability. Porcelain flooring has low moisture content and is forged in flames making it resistant to scratches and stains. Easy maintenance. There's no need for special cleaning processes to maintain floors made of porcelain. They withstand heavy traffic and maintain their shine with minimal upkeep. Aesthetic variety. 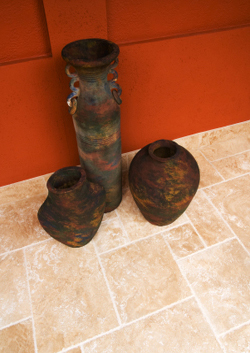 Porcelain floors are as beautiful as natural stone, and are available in a wide variety of styles, patterns, and colors. An optional glaze coating will give porcelain tile a stunning shine. Flooring tiles made of porcelain can be used in entryways, kitchens, bathrooms, or even large rooms. Bathrooms are one of the most popular applications for porcelain tile because of its non-porous nature. With the amount of water bathrooms often withstand, investing in porcelain tiles makes sense for both the décor of your bathroom and your budget. Because of their durability and density, porcelain floors also work well in kitchens and entryways. For added style, porcelain tiles can also be used as tile backsplashes in either the kitchen or bath area. Depending on your overall decorating scheme, porcelain flooring in larger rooms can add elegance and beauty to your décor. To get the most out of your tile flooring investment, consult a flooring installation company to skillfully measure, install, and trim your new porcelain floor. To learn more about how porcelain flooring can work for your project, contact the flooring experts at Bay Tile Kitchen & Bath or stop by our showroom in Clearwater, FL for a free consultation!